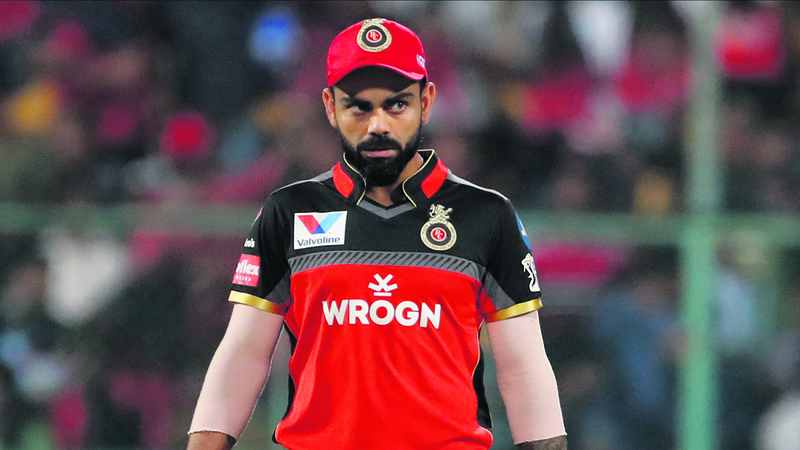 Virat Kohli, the Royal Challengers Bangalore skipper, stormed into the match referee's room and hurled abuses at him following his team's six-run defeat against Mumbai Indians (MI) at an IPL encounter in Bengaluru. RCB needed seven runs off the last delivery of the match when the on-field umpire S Ravi failed to notice a no-ball by Lasith Malinga. A no-ball would not only have given RCB one extra run but also a free hit and a chance to win the game. However, they lost by six runs. Minutes after the presentation ceremony, a livid Kohli reportedly stormed into the match referee Manu Nayyar's room and abused the official over the poor standard of officiating. Kohli even told the match referee that he didn't care if he was penalised for violating the code of conduct, according to a report. Kohli had also expressed his anger during the post-match conference saying ,"We are playing at IPL level, not club cricket. That is just a ridiculous call off the last ball. The umpires should have their eyes open, it was a no-ball by an inch. It is a completely different game altogether (if there was the extra delivery). They should have been sharper and more careful out there." Mumbai Indians skipper Rohit Sharma too backed Kohli and said that these mistakes shouldn't happen. "I just got to know when we crossed the rope. Somebody told me it was a no ball. These kind of mistakes are not good for the game of cricket, it's pretty simple. In the over before that, Bumrah bowled a ball which wasn't a wide. Those are game changers. There's a TV up there, they have to watch what's happening. It is as simple as that. "Players can't do much. The only thing they can do is walk off and shake hands because it was the last ball. It's disappointing to see that. I hope they rectify their mistakes like we do when we make mistakes," Sharma added.